MOSCOW, Russia -- Viktor Chernomyrdin, who died age 72 on Wednesday, led the Russian government from 1992 to 1998, and was responsible for both the successes and failures of the economic reforms of the time. Viktor Chernomyrdin played a crucial role in the Kosovo conflict, the first Chechen war and as Russia's ambassador to Ukraine. He turned the Soviet Gas Ministry into Gazprom, an energy company which has become a powerful lever of Russian foreign policy. Russians remember Mr Chernomyrdin for his colourful language, which was perhaps not always as correct as a politician's should be, but more often than not it was accurate. Perhaps the best known of his many notable quotes was used in reference to Russia's financial reforms. He said: "We wanted the best, but it turned out as it always does." His popularity with Russians was highlighted on Wednesday when his name (written in Cyrillic) was one of the main topics being talked about on the Twitter social networking service. It is one of the rare occasions that a word in the Cyrillic script has made it onto Twitter's list of global trends. Mr Chernomyrdin's first major political post was as deputy minister responsible for the Soviet gas industry. In 1985 he became minister, and in 1989 he became the head of Gazprom. He remained close to Gazprom in subsequent years. In 1992, the then Russian president, Boris Yeltsin, appointed Mr Chernomyrdin as prime minister. At the time, Mr Yeltsin had been under pressure from the Communist opposition to replace the free-market liberal prime minister Yegor Gaidar. However, Mr Chernomyrdin, who had been a member of the Communist Party, did not alter the course of Mr Gaidar's economic reforms. Mr Chernomyrdin led the government through the first Chechen war. In the summer of 1995, Chechen rebels seized hostages at a hospital in the city of Budennovsk. Mr Chernomyrdin led the negotiations with the rebel leader, Shamil Basayev, and is remembered for one particular phone call to Mr Basayev, during which he shouted down the telephone: "Shamil Basayev, you must talk louder!" In 1996, Mr Yeltsin was re-elected president and Mr Chernomyrdin continued in his role as prime minister, and even became acting president for a few hours in September that year when Mr Yeltsin had an operation. In March 1998, Mr Yeltsin, who was being seen less and less frequently in public, unexpectedly relieved Mr Chernomyrdin of his position. But in the spring of 1999, Mr Chernomyrdin was in demand again during the Kosovo conflict. 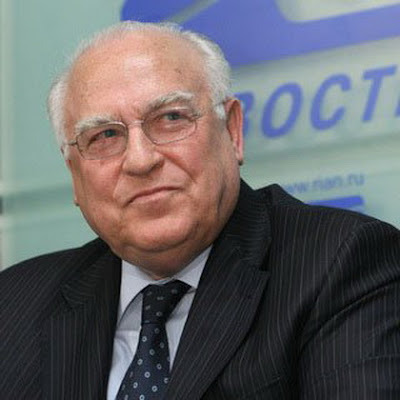 He was appointed Mr Yeltsin's special envoy and he mediated between Yugoslav President Slobodan Milosevic and the West. Diplomats generally agreed that Mr Chernomyrdin played a successful role, by persuading Mr Milosevic to withdraw his troops from Kosovo, a move which ended Nato's bombing campaign against Yugoslavia. In 2001, the then president, Vladimir Putin, appointed Mr Chernomyrdin Russian ambassador to Ukraine. It turned out to be an important role, as 80% of Russian gas exports flow through Ukraine. There were repeated spats between the two countries over the gas exports. Ukraine's Orange Revolution in 2004, which the Kremlin saw as a threat, also led to a distinct cooling in relations between the neighbours. In 2009, Mr Chernomyrdin left his post in Ukraine and in the months before he died, he worked as an advisor to Russian President Dmitry Medvedev on economic ties with former Soviet countries. He will be buried at Moscow's famous Novodevichy cemetery, which is the final resting place for many of Russia's best-known and most respected historical figures.